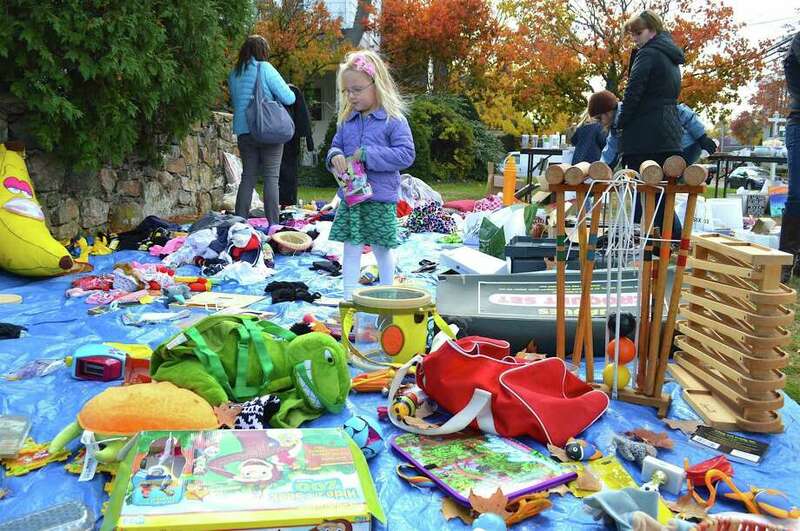 Alexandra Knowles, 4, of New Canaan, looks at some merchandise at the Junior League of Stamford-Norwalk’s fall tag sale, Sunday in Darien. DARIEN — Working for the cause of childhood literacy, members of the Junior League of Stamford-Norwalk hosted their Fall Tag Sale Sunday afternoon. “Today is about bringing all our new members together to raise money,” said Laura Barbosa, new member chair for the 300-strong charity group that has its headquarters on the Post Road near Darien Center.